I’ve been to Grand Con, WashingCon, Portal Con, Origins, UK Games Expo and even SPIEL, but I had never been to Gen Con, so when the opportunity presented itself to go, I was all in! Similar to a bunch of other people, I used the Tabletop Together Tool to plan out all of the games I was interested in even a slightest bit. Out of the 623 games that were listed, I whittled down my list to 73 games of interest. Still, too many games to actually be able to check out, but I was determined to give it my best shot. For me, conventions are about the games, sure, but they are also about the experiences and catching up with people I’ve connected with over the years and meeting new people/publishers. Gen Con bills itself as the best 4 days in gaming and being that SPIEL is my normal convention I was a bit hesitant to just take them on their word. I had to see and experience it for myself. With over 60,000 unique attendees 2018 exceeded previous numbers for Gen Con and yeah, there were a lot of people. What I was most curious to see, though, was how different Gen Con and SPIEL were. You’d think that the two biggest board game conventions in the world would be similar, and in some things they are, but in others, they most definitely were not. Wandering around the exhibit hall the only major difference is that some publishers didn’t have any space for players to actually demo the games they were selling. Sure, this happens at SPIEL too, but not in the same numbers. Another difference is that the norm for demos at Gen Con are partial games whereas SPIEL allows for full game demos which I personally prefer. That being said, leaving the exhibit hall is where you see the biggest difference between the two conventions. Gen Con has so many events and demos that are not in the exhibit hall itself. SPIEL does not. While they may be about the same size, Gen Con excels in events and SPIEL ignores them. SPIEL, however excels in offering players the opportunity to play games that look interesting as you wander by a booth. Both are good, but what made this Gen Con special, for me? 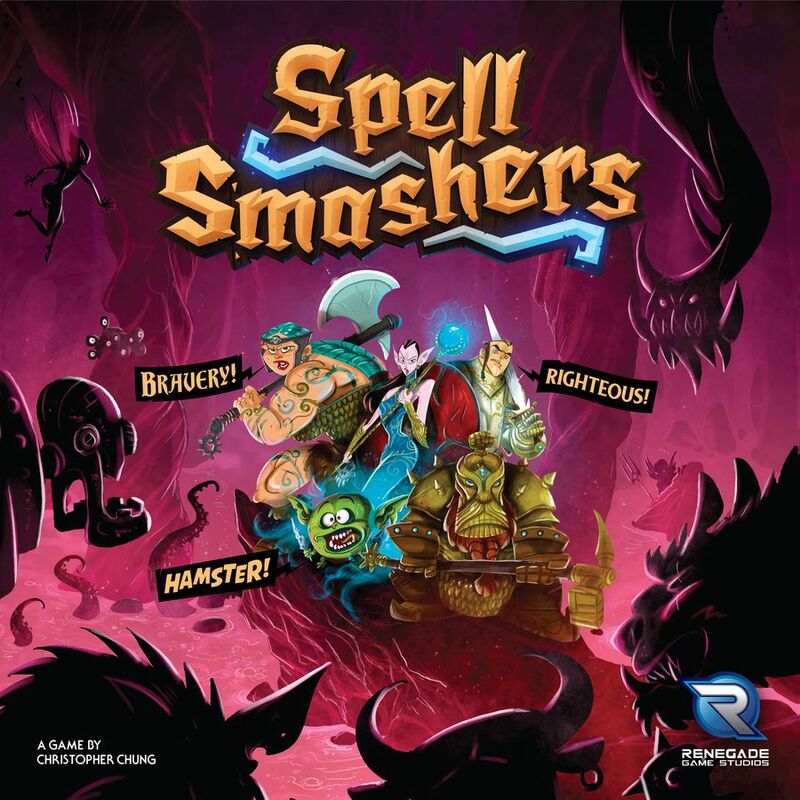 I’m not normally a word game kind of guy, but I sat down to play Spell Smashers because of two things, Christopher Chung (designer of this and Lanterns) and Renegade Games Studio. I was very surprised by how much I liked this game. Every round you use the word you make to fight monsters. The best part of this game is that regardless of the word you can make, you can still compete. You don’t have to have a huge vocabulary to make a word that will take down a monster. It’s a simple design, but so well done. I went to the Osprey booth to check out The Lost Expedition expansion that will release soon, but instead I joined in a Martin Wallace skirmish game, because, you know, that’s almost the same. Instead of a skirmish game like Zombicide, Wildlands uses cards instead of dice. It is still a random card draw, but it brings a little Euro style to the game. Each card provides actions for specific characters and sometimes one action for any which provides some great decisions every turn. I’m not a big skirmish game fan, but this one could change my mind! 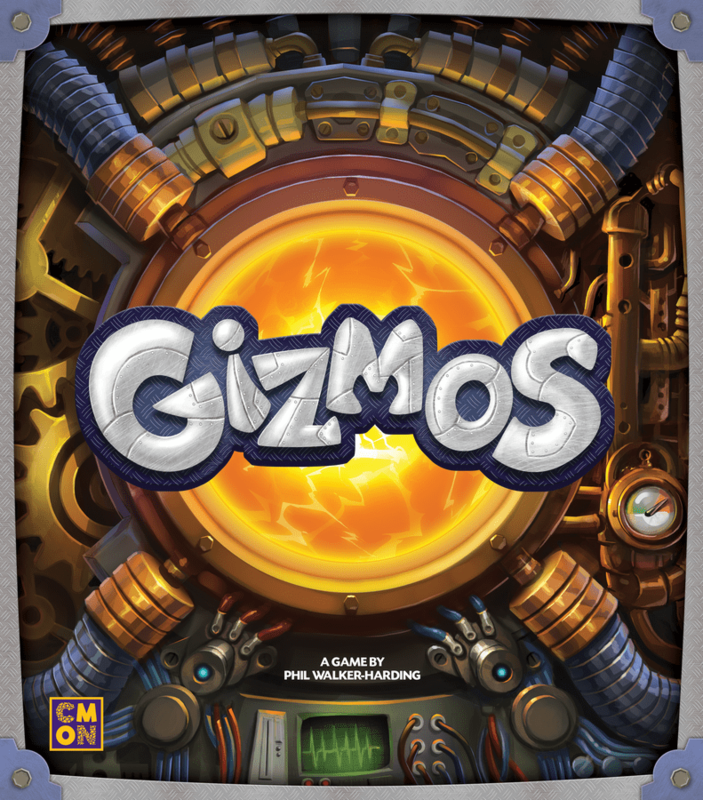 I only played a half game of Gizmos (which bothered me), but this engine building game is light, easy to learn/teach and ramps up quickly. I definitely wanted to play the whole game. I love engine building games and this one scratches the itch. When you build your engine well and then pull off a great combo it is so satisfying. Another Harry Potter cooperative game that is a winner! Instead of deck-building, the team comes together to roll dice and capture the beasts that are roaming the world. The best part of the game is how you can share dice and activate other character’s abilities on your turn (provided you both have them activated). Even if you don’t care about the movie, the game is fun and worth playing. I can’t wait to get a hold of this one. Five minutes of trading and then seeing how your trading skills pay off is essentially all this game is, and yet it was a good time. The cards you trade can provide items that you can turn in for money, but also potentially give you something else to progress on a couple other tracks. For such a simple set of rules, the game provides more depth than I expected. Somehow I even ended up with the highest score (for a demo) of the con! I didn’t get to play this one because there was only one table for showing how it plays, so instead of playing I learned. Basically the game is a I split, you choose game where you can keep splitting the pile until someone wants one. But then, you put the tiles into a sword…yup, you build an actual 3D sword. This is another one I will probably buy when the funds come in. 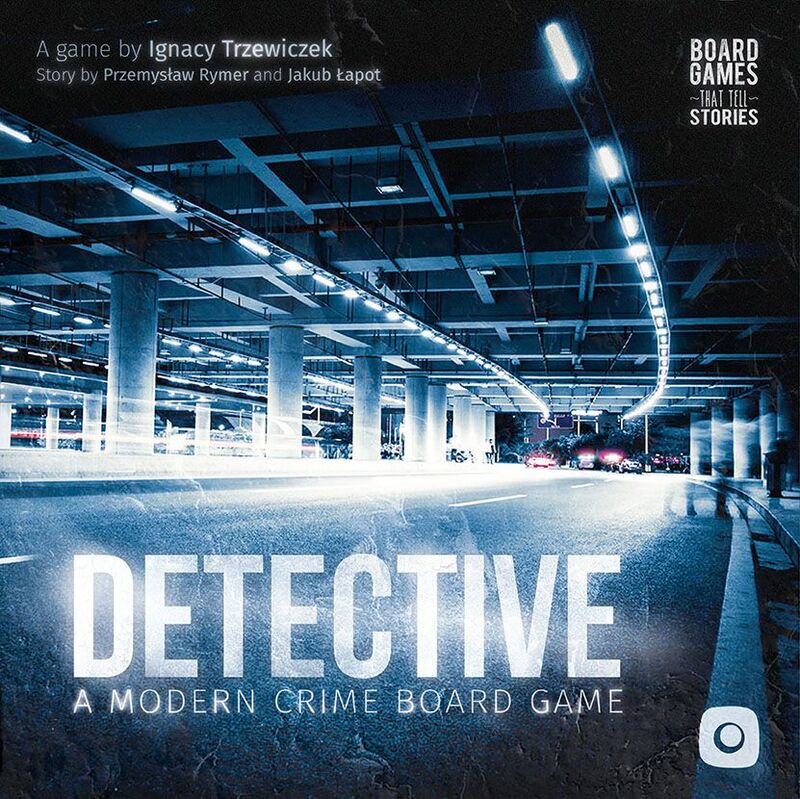 I had the chance to go to the Detective: A Modern Crime Board Game premier where I sat down with a bunch of random guys and we worked through an unreleased scenario of the game. The game was frustrating, we struggled and felt clueless a bunch of the time, but in the end we solved the case and won! It was such a unique and fun experience. I like to help people, so when a friend asked if anyone had some time to help out Pandasaurus Games, so I said yes. I didn’t know it at the time, but Nathan and Molly (owners) are quality people, so helping out quality people is always enjoyable for me. I just learned this gameat Origins, so it was great to walk up to the booth and be welcomed warmly. I then got to play in my first ever game tournament and while I didn’t do as well as I had hoped, I enjoyed myself and will be stopping by the Lightseekers booth at every convention I can. One of the nights I sat down with a friend of mine and he asked if I wanted to play-test a game of Corey Young’s (designer of Gravwell). Corey said it was a 2 vs 1 trick-taking game with a kung fu theme. I had no idea how that would work, so I played, I conquered and I had a blast. So, if that sounds interesting to you check out Five Deadly Venoms. I’ve been following Stonemaier games since Euphoria and I own every one of their games except the just released My Little Scythe. I stopped by their demo room and had a nice conversation with one of my favorite publishers. My favorite booth of the convention was Genius Games. I had never seen a booth of theirs or met them, but their booth was great. Being a former science teacher and current curricula designer, I was so excited to see a company making good games that are about real science. When describing the games to other I kept coming back to the phrase, “It’s genius!” Well played, Genius Games, well played. If you don’t know Genius Games, go check them out! What a great list of games and humbled that you called out Swordcrafters! You’ve got an amazing looking game and I hope to be able to play it for real soon!